Catenary: The shape a wire makes when hanging from two poles. Can you make the shape open downwards? Manipulative 1 - Catenary Created with GeoGebra. where h is the horizontal offset and k is the vertical offset. The following images are various chains suspended from their ends, forming catenaries. Figure 1: Long heavy chain forming a catenary. Figure 2: Long thin chain forming a catenary. 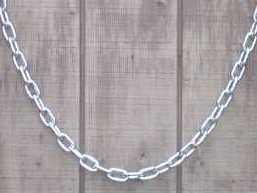 Figure 3: Thick wide chain forming a catenary. McAdams, David E. Catenary . 3/1/2019. All Math Words Encyclopedia. Life is a Story Problem LLC. http://www.allmathwords.org/en/c/catenary.html. Long heavy chain forming a catenary: Abby Brown, http://teachers.sduhsd.k12.ca.us. Used by permission. Long thin chain forming a catenary: Abby Brown, http://teachers.sduhsd.k12.ca.us. Used by permission. 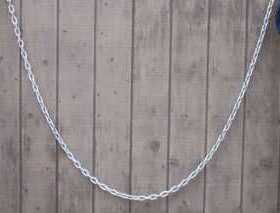 Thick wide chain forming a catenary: Abby Brown, http://teachers.sduhsd.k12.ca.us. Used by permission.